4 pics 1 word fire. Torches on the beach. Fire pit burning. Shadow of man running. A lit match. Find the 4 pics 1 word answers you need and still have fun with the game that has hooked millions of people. 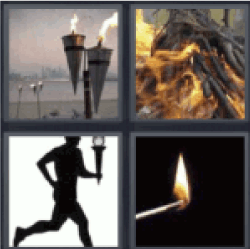 4 pics 1 word fire.